so yeah, i had always been under the impression that there was a single specific plane that was called ‘air force one’ and it was always used by the president … wrong! random trivia for y’all pub quiz peeps: when richard nixon resigned as president in 1974, he was on a plane with the callsign air force one … as he stopped being president half way through his flight, they had to change the callsign mid-flight . 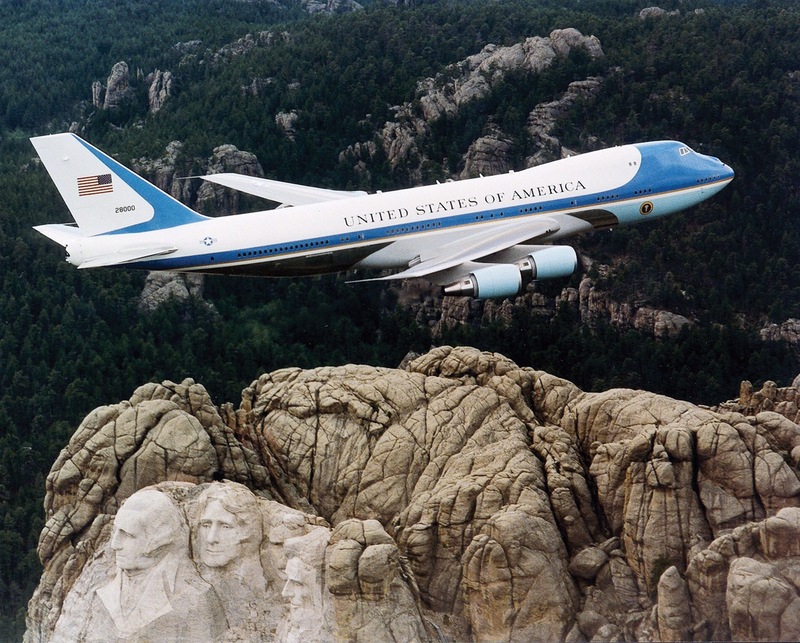 now, whilst air force one is technically just a callsign, it is usually applied to one of the president’s two 747s ✈️ … really old 747s  like, they entered service under ronald reagan in 1990! even so, they’re pretty awesome! they’re basically just a white house that can fly. from one of the many offices aboard the planes, the president can run the country whilst travelling close to the speed of sound … thanks to in-air refuelling capabilities, the president can stay airborne forevs!  i would literally run the country from 40,000ft!